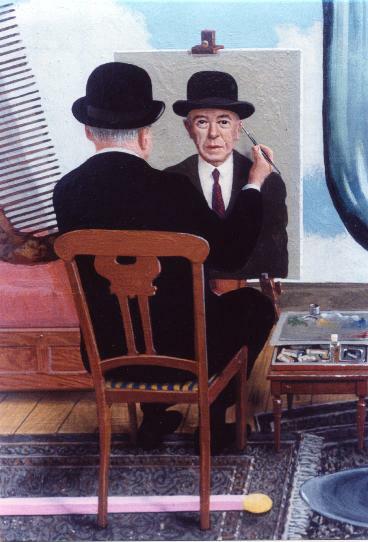 This wonderful painting, signed "Robert Sivard apres Magritte", was created for Sivard's 'Artists in Their Studios' exhibit, which portrayed well-known artists in their mileu. 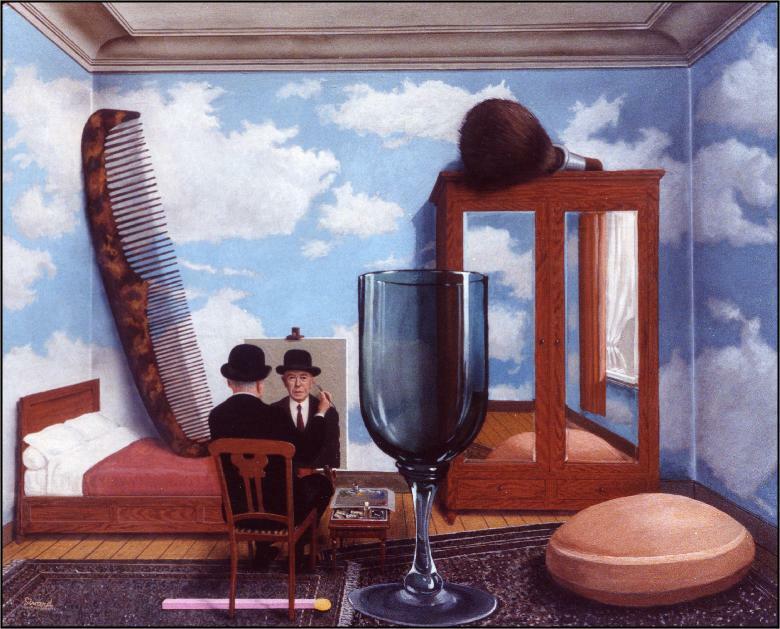 Sivard himself had Surrealist influences in his work and he enthusiastically took on this subject with both respect and irreverance. The depiction of varied textures is quite astonishing: the horn comb and oriental rugs, for example. (There is less detail visible in these reproductions for the internet).